This information is used to measure the number of visitors to the different sections of our site, and to help us make our site more useful to our visitors. You may choose to send us personally identifying information such as an electronic mail message containing a request for information. We use the information you provide only to help us gather the information you request and to respond to your message. In an effort to respond to your request, any information you submit may be viewed by various people in a wide variety of government agencies depending on the nature of your request. In other limited circumstances, including requests from Congress or private individuals, we may be required by law to disclose information you submit. 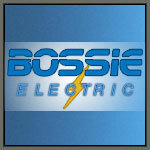 At no time will Bossie Electric, rent, loan, trade or lease any information collected on our site. Moreover, we do not create individual profiles with the information you provide. Our Website contains links to various other agencies and organizations. Once you link to another site, you are subject to the policies of the new site.